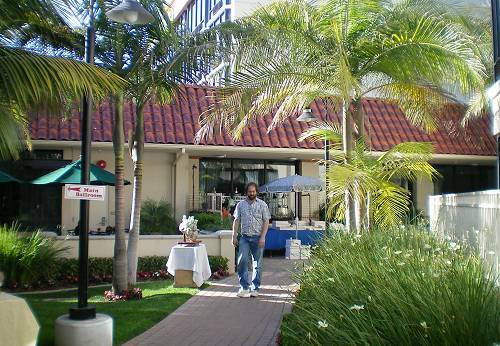 I visited the West Coast Show - a Marty Zinn Expositions show - this past weekend. I was there for set up day on Thursday and for the first day of the show on Friday. This is a fairly small show by Denver and Tucson standards but it is one that I try to make it to every 2-3 years. It is an all day drive from Weaverville in northern California to this coastal spot in Orange County - about 600 miles to the south. Quite a few well known dealers set up at this show so it is clearly worth visiting and anything that is new in the mineral world at the time will show up here. Dave Bunk seen making his way through the courtyard to the ball room of the hotel. One of the first people I visited was Don & Gloria Olson of Bonsall, California. 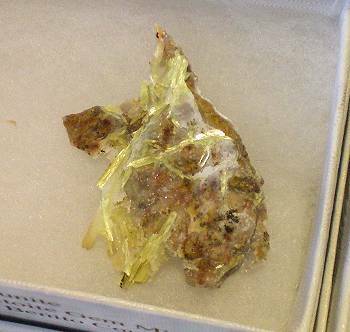 They had a decent selection of the new bipyramidal wulfenite specimens from the Ojuela mine in Mexico first seen at the recent Tucson Show. Recall that these were out initially at the Tucson Show. Doug and Terry Wallace of Mineral Search also had a large selection of these available. Doug told me that they were first secured by Mike New of Top Gem minerals and Stan Esbenshade of Midewest Minerals who then sold most of it to Don and Gloria and Marshall Sussman. Marshall then sold lots Rob Lavinsky and Doug Wallace and then a thumbnail lot to Isaias Casanova. I mention this only to show how minerals go from point A to point B, then points C, D, E and so on until finally reaching the collector. It is quite a network of ownership prior to that last point... The prices seem to have moderated considerably so I made a selection of a baker's dozen to be posted when I get back to Weaverville. 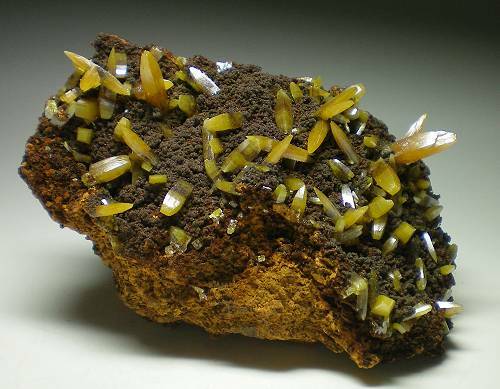 One of the specimens I obtained from Doug Wallace of the wulfenite from the Ojuela Mine. This one is 8 cm across with crystals to 1.5 cm. 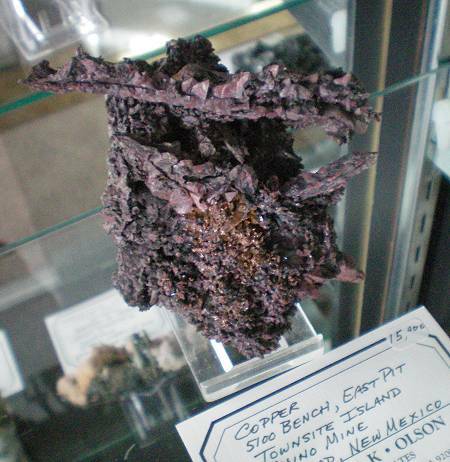 One thing that Don & Gloria did have that was new was some exotic looking spinel law twins of copper from the Chino mine in Bayard, New Mexico. To their credit they did not dip the coppers in an acidic solution. Hence, the natural oxidation patina is intact on all of them. 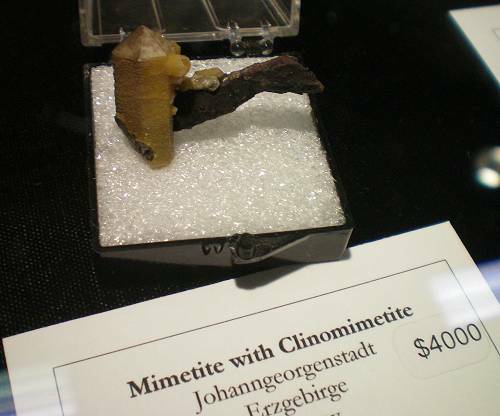 Below are several specimens that were available at the show. I did not purchase any for resale on my website. A 3 cm specimen on the left and a 6.5 cm specimen on the right. 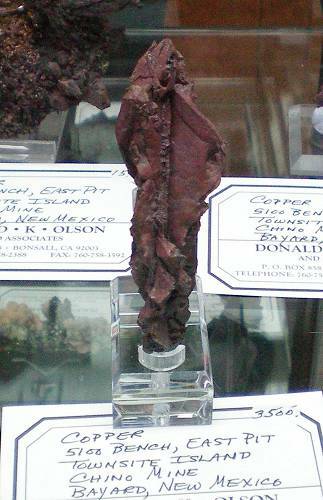 This was the best specimen in the lot that I saw of a 7-8 cm spinel twin on copper rich matrix. 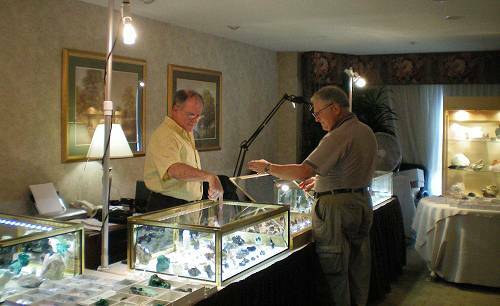 I visited for a while with one of the Mineral-Auctions.com dealers - Rick Kennedy of Earth's Treasures. Rick is a benitoite kindred spirit. He is probably only second to me when it comes to having uncontrollable passion for the blue triangles. Rick has been an active field collector for many years and his favorite haunts are in San Benito County. He still has a good supply of karpatite from there and the prospects for more are pretty good. 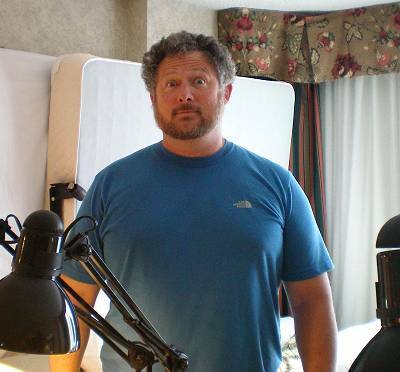 A stunned Rick Kennedy on the left and one of the karpatites with quartz in his room on the right. Brazilian dealer Luis Menezes was at the show with a few new things from Brazil. Of interest were some pleochroic uvite specimens from Brumado, Bahia and some very fine crystals of Montebrasite from the Telirio mine in Minas Gerais. The uvites have directional color change going from brownish yellow to rich and deep lime green colors depending on the direction that they are viewed. The luster is exceptional for these and many are situated on crystalline magnesite. 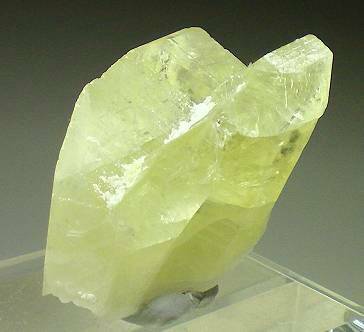 The montebrasite specimens were predominantly available as single crystals with vitreous luster and uniform pale yellow color. Montebrasite is closely related to amblygonite differing only in the replacement of aluminum (mont.) versus sodium (amblyg.). 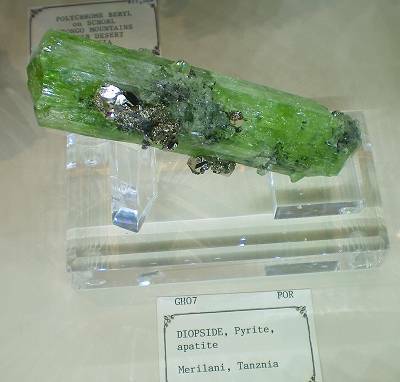 A 4 cm specimen with crystals to 1.5 cm across. 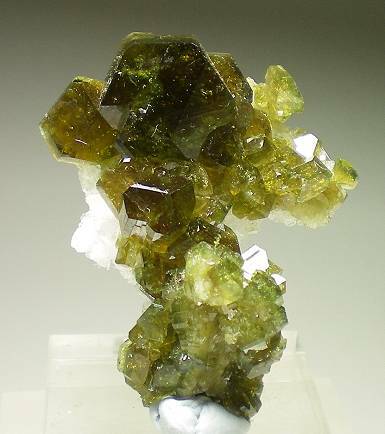 Two views of a 3.5 cm twinned crystal of montebrasite. 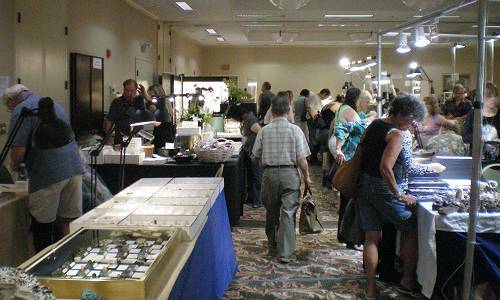 Colorado dealer Dave Bunk was set up in the ball room as usual with a large assortment of specimens left of the Dawn & Jim Minette collection. I snapped several photos of just a couple of the many fine specimens Dave had available from this collection. 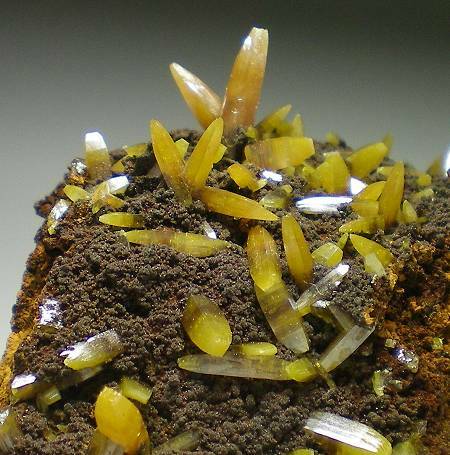 A 1.3 cm crystal of mimetite from Germany. 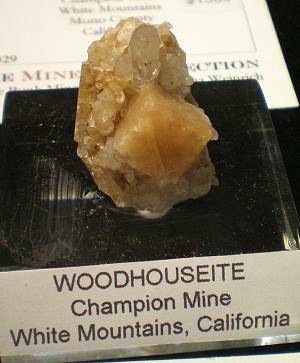 A1.3 cm crystal of woodhouseite from California. A shot in the Ball Room on opening day of the show. Note Wayne Leicht to left of center in the photo. 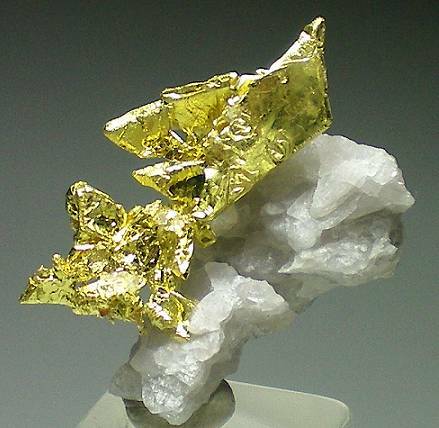 An aesthetic 2.6 cm specimen of crystalline gold on quartz from California. I bought this one from Wayne Leicht in the Ballroom. 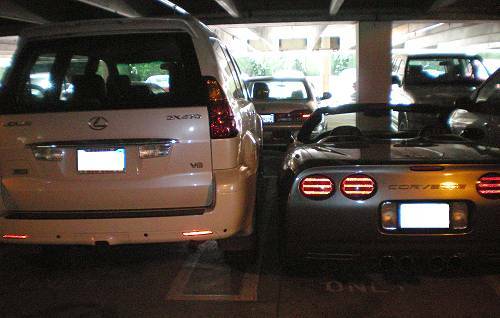 parking they could find - even at the expense of a guaranteed door ding. A corvette up against a Lexus. Looks like "hard times" here in Orange County. Leonard Himes and Cal Graeber were set up in the same room as is the usual case. Leonard has a couple of incredible specimens available with P.O.R. listed as the prices. 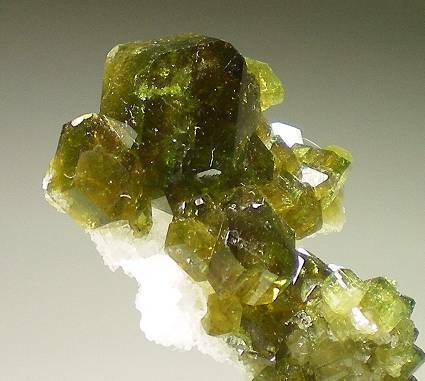 A stunning 12 cm crystal of gemmy diopside from Tanzania. 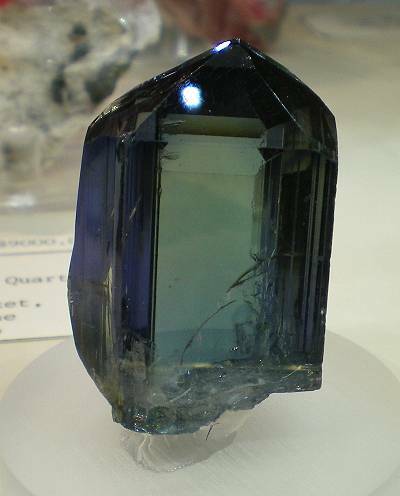 A beyond stunning 255 carat crystal of untreated gem tanzanite. 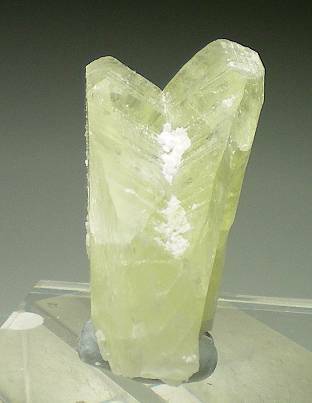 Pure mineralogical glass... whew! Marty Zinn now owns this specimen. Marty Zinn (right) making a few more selections from Leonard. I have a number of good specimens I obtained here and will be posting in the next week so stay tuned to What's New at my main site for that information. If you live in southern California this is an excellent show to visit. Lots of good rocks were available from many fine dealers from around the world. For me this show is a mixed bag of sorts. I grew up (1957 to 1979) in southern California in Whittier and Fullerton prior to leaving for good to Humboldt State University in 1979. I have not been back much since. Orange County was named for the thousands of acres of orange groves that once covered much of the county. Today... well... today, if I did not see the street names I would not know where I was in much of the region. It has changed a lot in just a part of my lifetime. If stop lights and frantic, angry drivers are what you are looking for this is the place to visit. It is amazing what some people will risk for the sake of 2 or 3 seconds... I will come back to this show again but it will be in 2-3 years. The next big show for me will be the East Coast Show in August in Massachusetts. I will take their driving over what I saw and experienced on the 405 Freeway any day of the year. Till then, keep your seat belts firmly fastened!